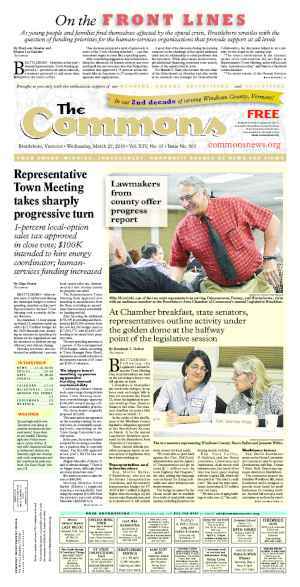 Both of Windham County’s senators and most of its House delegation were present at the annual Legislative Breakfast, presented by the Brattleboro Area Chamber of Commerce on March 19. 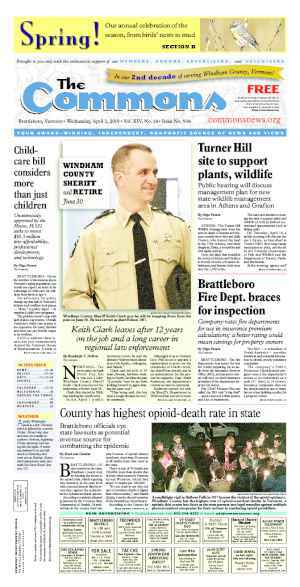 BRATTLEBORO—On the eve of “crossover week,” the week on the legislative calendar when lawmakers decide whether bills will survive or be scuttled, members of the Windham County delegation gave their assessment of the session thus far. 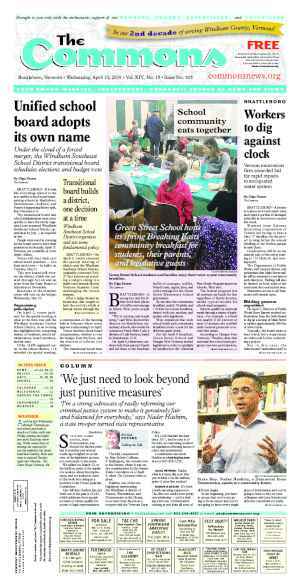 At the Brattleboro Area Chamber of Commerce’s annual Legislative Breakfast at the Brattleboro Retreat on March 19, local lawmakers gave updates about some of the legislation they’ve been working on. Firearms laws have taken center stage this session, as the Parkland, Florida, school shooting last month unleashed a torrent of activism by young people across the country. Hebert called the concept of school safety “very scary” for lawmakers to grapple with. However, Rep. Mike Mrowicki, D-Putney, saw it as a priority that lawmakers could not duck as the session enters the homestretch. On March 24, the House voted 85-59 to approve a Senate bill which expands background checks to private firearms sales, prohibits those under 21 from buying firearms, bans high-capacity magazines that hold more than 10 rounds of ammunition, and bans “bump stocks,” a device that increases the firing rate of semi-automatic rifles. The full Senate is scheduled to take up the House bill this week. Rep. Emily Long, D-Newfane, who serves on the House Education Committee, called attention to a bill to change the way special-education services are funded and delivered. The proposed revision would change school district reimbursement to a block grant based on the total school population, and not just on the number of special-ed students in a district. On March 23, the bill was passed unanimously by the House. “This is a very big change for school districts,” she said, adding that it will take time to implement but it would reduce bureaucracy and save money. Long said one of the bigger changes in the special ed bill, besides funding, is allowing schools to use their entire staff to provide services, so districts aren’t as reliant on para-educators. Stuart also called attention to a bill that would consolidate all the various state efforts focused on workforce development. Rep. Mollie Burke, P/D-Brattleboro, has been busy with transportation issues and shepherding a $612 million transportation bill for fiscal year 2019 through the chamber. 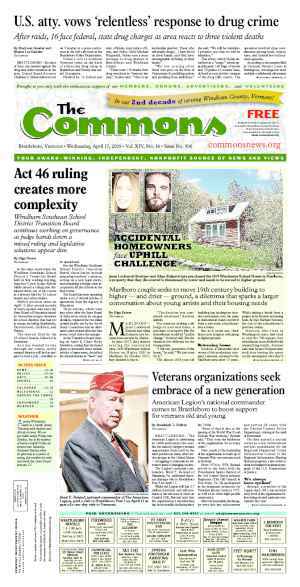 Burke said the bill, which was approved on March 21, could provide a 3 percent increase in highway aid to Brattleboro. Senate Majority Leader Becca Balint, D-Windham, touted a bill that would help the Secretary of State’s Office and the Agency of Commerce create a single online portal to make it easier for new businesses to file their incorporation paperwork with the state. “Right now, there are a lot of hoops,” she said. Balint is also backing another bill to find “niche avenues” to bring people and business sectors to Vermont. One example she gave was attracting off-site workers involved in cryptocurrency or other financial technology. At the same time, Balint supported legislation to level the playing field in the conflict between traditional bed-and-breakfast operations, and the growing online “AirBnB” market that has individuals renting out space in their dwellings at lower prices, as renters avoid paying the state rooms and meal tax. “There will be an opportunity now for folks who are trying to compete with web platforms,” Balint said, adding that AirBnB users should be paying state taxes. Both Burke and Sen. Jeanette White, D-Windham, spoke about sexual harassment and steps being taken to eliminate it. Burke said she is the chair of a sexual harassment committee in the House, while Balint is in charge of the Senate’s counterpart. Together, the goal is making the Statehouse “a safe workplace for everybody,” Burke said. A report in Seven Days before the start of the current session quoted several current and former female lawmakers as saying, anonymously, they had experienced harassment inside the Statehouse. White spoke about the growing trend of the use of private arbitration, rather than a court of law, to resolve disputes, particularly in the online world. She said employees may unwittingly give up rights with agreements signed online, such as stipulating a small window of time for addressing sexual harassment complaints, the use of out-of-state venues for hearings, and being assigned arbitrators that work for the company. Originally published in The Commons issue #452 (Wednesday, March 28, 2018). This story appeared on page A1.